S.J.Budd - Come and Behold My Dark World: Damaged Skull Writer and Reviewer takes on Tales From the Realm! 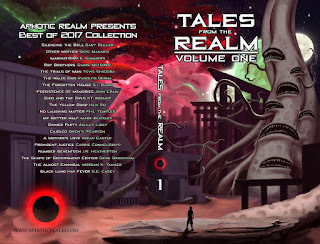 Damaged Skull Writer and Reviewer takes on Tales From the Realm! Hey Guys just wanted to share with you the latest review for Tales From the Realm by Aphotic Realm. For those who don't know this is a collection of the finest 20 tales to be published on their website. (There's so many more great stories on there so do check it out!) This collection features a tale by yours truly, The Forgotten House. 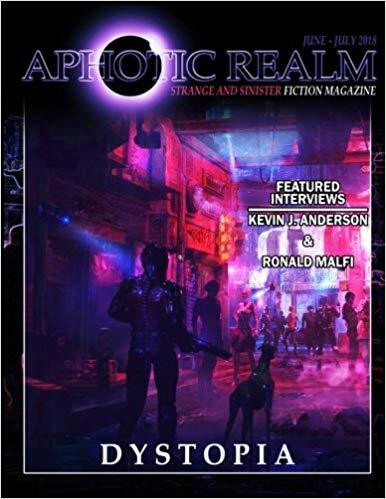 If strange and sinister fiction is your thing then do check out Aphotic Realm's amazing magazines; so far there has been Apparitions, Banished, Classified and the latest, Dystopia. They are available in paperback to purchase now.